Throughout high school, your child will have many different teachers, take a variety of tests and participate in numerous activities. The counselor is the one person who sees the entire picture of your child’s four-year high school career and who can bring all of that information together. The counselor assists your child in planning a challenging course schedule and determines how to best achieve educational goals. She provides information on which college admission tests to take, which colleges are a good fit and how to get on the right track for the careers that interest your child and will help them gain meaningful employment after college. Information on trade schools and union apprenticeships are also readily available. All students in 10th grade take the Armed Services Vocational Assessment Battery (ASVAB). This test is administered in all of the Philadelphia school system. It is not used as recruiting tool in 10th grade. However, it gives students a clear, concise view of their skill sets. Additionally – MaST has the highest average ASVAB score in the city. The counselor has access to software that stores your child’s classes, grades and graduation requirements. With this information, she creates a class schedule based on your child’s post graduation goals. If your child is faced with problems, either academic or otherwise, the counselor can provide connections to resources in the school or community. If your child experiences problems in class, she can and does speak with teachers and monitor progress. Please do not hesitate to call or email the counselor should you have concerns for your child. Our counselor facilitates the college admission process by helping students determine the college best suited to their education and future. We work to minimize the confusion around the college selection process by answering questions and providing information. Communication is the key to the college selection process. We strive to provide good communication between the student, the parents, the counselor, and the colleges. Our counseling department strives to enhance the well being of students by facilitating their emotional, interpersonal, and academic development. Our counselors provide emotional support, small group counseling, and facilitate conflict resolution to empower our students toward autonomy. Counselors provide brief counseling to any student who would like to discuss personal concerns. Issues addressed by our counselors range from interpersonal issues and family concerns to problems such as anxiety, depression, and self-management. To provide integrated student support services, we sometimes collaborate with outside mental health providers to provide and receive information about a student. In those cases, we obtain your consent using the form below. Some school age children with disabilities who do not meet special education eligibility requirements might still be eligible for special protections and for adaptations and accommodations in instruction, facilities, and activities under Section 504 of the Federal Rehabilitation Act of 1973. Has a physical or mental disability that substantially limits or prohibits participation in or access to an aspect of the student’s school program. Is not eligible for special education services or programs. MaST Community Charter School must ensure that qualified students with disabilities have equal opportunity to participate in the school program and activities to the maximum extent appropriate for each individual student. MaST Community Charter School provides to each qualifying protected student with a disability without discrimination or cost to the student or family, those related aids, services or accommodations which are needed to provide equal opportunity to participate in and obtain the benefits of the school program and extracurricular activities to the maximum extent appropriate to the student’s abilities and to the extent required by these laws. These supports and accommodations are documented in a Section 504 Service Agreement. If you suspect that your child may qualify as a protected student with a disability, please contact the school counselor to request an evaluation. The MaST SAP Team is part of a state-wide Student Assistance Program which operates in all of Pennsylvania’s school districts. SAP provides schools with the means to identify barriers to a student’s learning and success. The MaST SAP Team is a dedicated group of school personnel who are trained to identify problems that impact the student’s ability to function in school. The team also offers resources to students and their families to assist them in alleviating these problems. Why would a student be referred to the SAP Team? If you are concerned about a student for any of these reasons, you can make a referral to the SAP Team. A parent, teacher, counselor, staff member or peer can make a referral to any member of the SAP Team. Staff members can make a SAP referral online on the Intranet under the “SAP Forms” tab. Once the team receives a referral, they will reach out to the parents to gain parent permission before continuing the process. The SAP Team will work closely with the parents and student to recommend appropriate resources and supports. 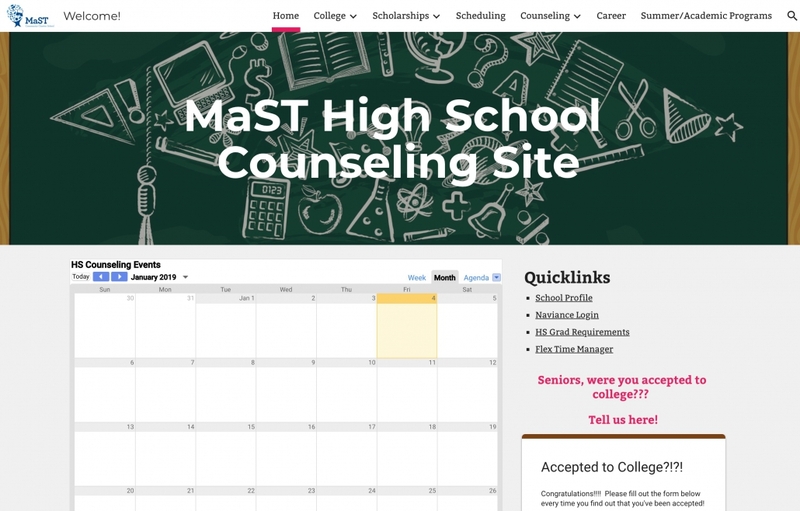 What resources are available to students who go through the MaST SAP process? The SAP Team may make recommendations for school-based interventions or community-based supports. The SAP Team work collaboratively to suggest supports and interventions that are appropriate for each individual student. The SAP Team also works closely with CORA Services. A student may be referred for an assessment with a CORA clinician in order to connect the student/family with additional community-based supports. The entire SAP process is both confidential and voluntary. The MaST SAP Team referral does not become part of the student’s educational records.